PES is all about figuring out how to get into the box. Once you are there, shooting is relatively straightforward. Even though PES does not have the UEFA Champions League licence anymore, there is plenty to like in Konami’s latest game in the long running series. 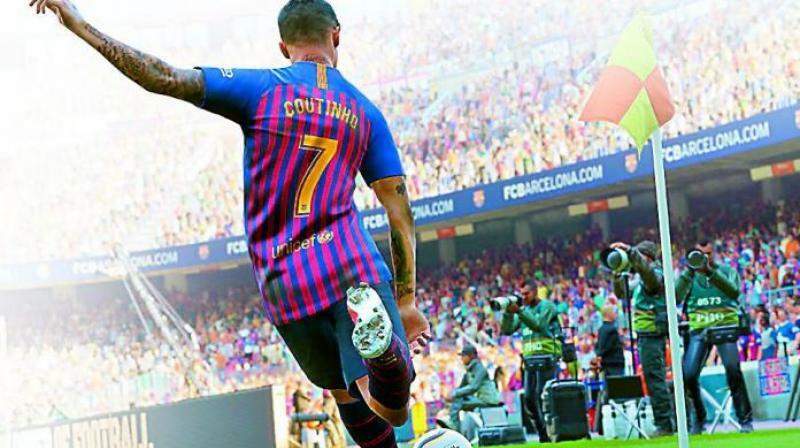 The realism featured in PES is unlike most other sports sims out there, and it remains the strongest point in this year’s game. It is the very definition of skill based sports sim. Passing, crossing, shooting and all other gameplay mechanics are not easy to pull off. There is a level of precision required, whether you are passing sideways to your team or aiming the cut the defence wide open. The timing as well as direction actually come into play, which makes successfully moving the ball across the field all the more satisfying. PES is all about figuring out how to get into the box. Once you are there, shooting is relatively straightforward. In my experience, as long as I am getting into the right positions, I will score goals. You will encounter cases where the keeper is able to make a miraculous save or the defender blocks it right at the end, but more often than not, precision is rewarded with a goal. But the build up is far more important, and far more difficult to execute. The improved player and ball physics with regards to first touch make a big difference in receiving the ball as it is never stuck to the player. On the field, the stadium atmosphere and commentary team do a wonderful job of bringing the game to life. But it is off the field where the game continues to struggle. The menus and user experience of playing PES is miserable. Everything is presented in a bland and oversimplified manner, but it has multiple layers of complexity to it. Its almost as if the presentation betrays the amount of work that is done in other departments. Its not just that the menus are dated, simple tasks are a pain to execute. It becomes more cumbersome in myClub, which requires you to go through multiple menus to get to what you want. But these aspects go beyond just impacting the presentation. As an example, improved transfer negotiation and budget management were supposed to be a big feature, but are still not up to par and feel incredibly dated. Outside of the extremely rewarding gameplay, it becomes harder to recommend Pro Evolution Soccer to newcomers. Not just because of licences; but the menus, QOL features, UI, over-complicated master league as well as myClub systems all need a complete overhaul. That being said, on the field, the game is outstanding and is more skill based than its competitor. If you have been a fan of the gameplay in PES, you cannot go wrong with the latest release.